4-6 year old Chester has obviously not enjoyed a very good life. But, that's all changed for him now - and he's ready to make up for lost time! Chester is not a big boy, but he has a huge heart that he wants to share with his special someone. Chester gets along fine with some of the other dogs here (he doesn't like the bouncy 'in your face' types too much) - - - is small enough for those who don't want to handle a full sized golden retriever, and is just plain cute, cute, cute! Chester has had one incident of teeth baring with a stranger visiting here. We have no idea why - as he has never made a bad move towards us - any of us. We think this little boy is going to make some very lucky person very happy as long as they understand his quirks. 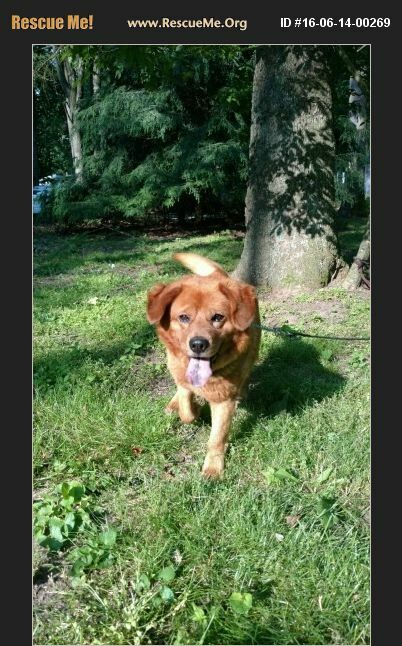 If you would like to offer Chester a forever home, please submit an application which you can find on our website (www.almostheaven-golden-retriever-rescue.org) Emailing will get the fastest response.